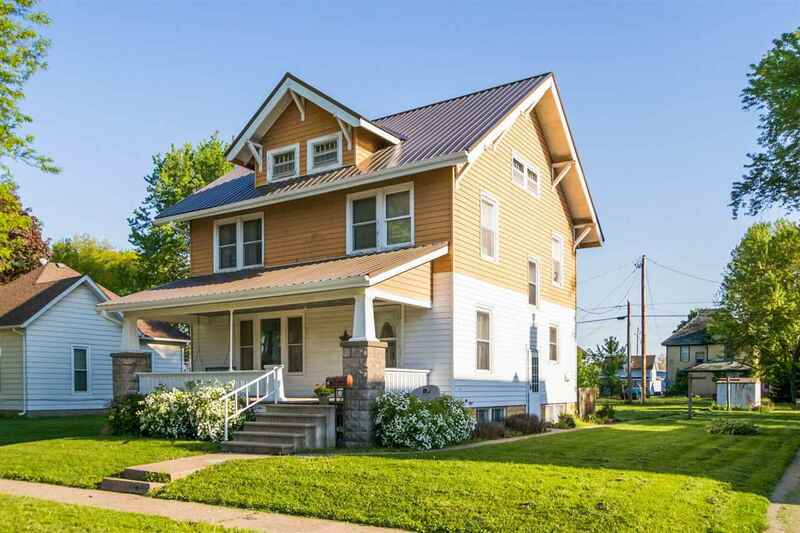 This spacious craftsman style home features handsome hardwood floors, natural woodwork and and open staircase leading you up to 4 spacious bedrooms! A lot of bonuses come with owning this home! A walk-up attic partially finished making a great space for an office or play room, a usable basement perfect for work-out space, a relaxing open front porch, an enclosed back porch leading out to the patio and nice sized yard! Newer roof & water heater, updated furnace, air & windows! Freshly painted interior!